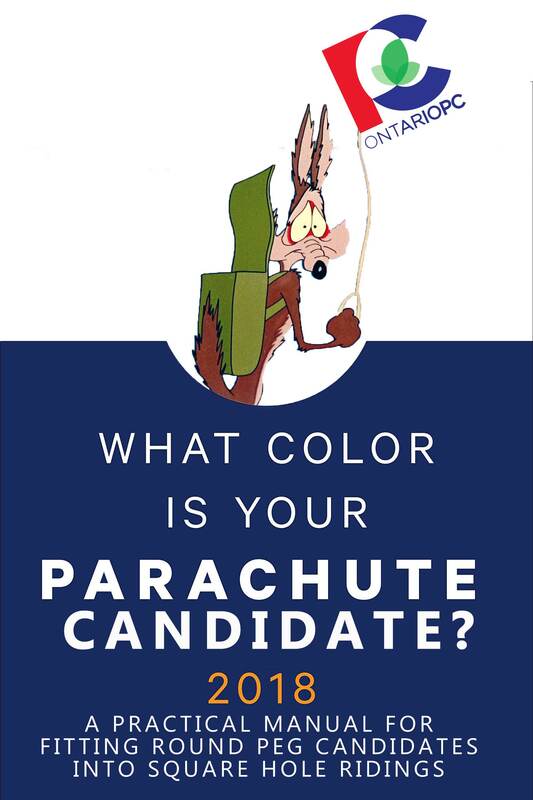 What colour is your Parachute Candidate? After kicking Charity McGrath to the curb the OPC had an opportunity to redeem themselves and advance a candidate from their riding. Instead, they parachuted Christine Elliot in from Whitby. 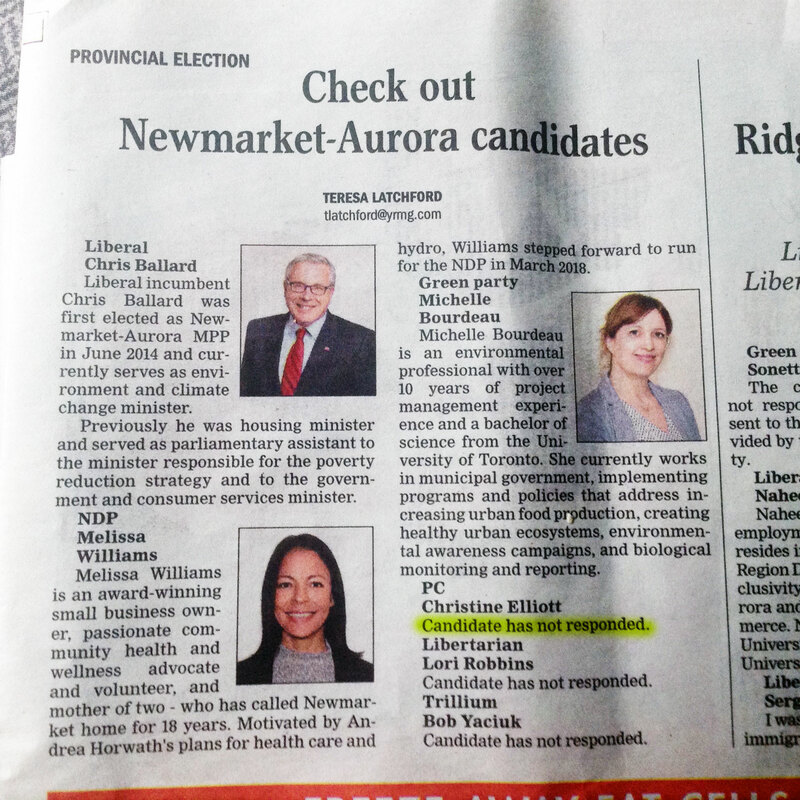 What’s hilarious about this is Newmarket-Aurora didn’t even support Elliot in all 3 of their leadership ballots. 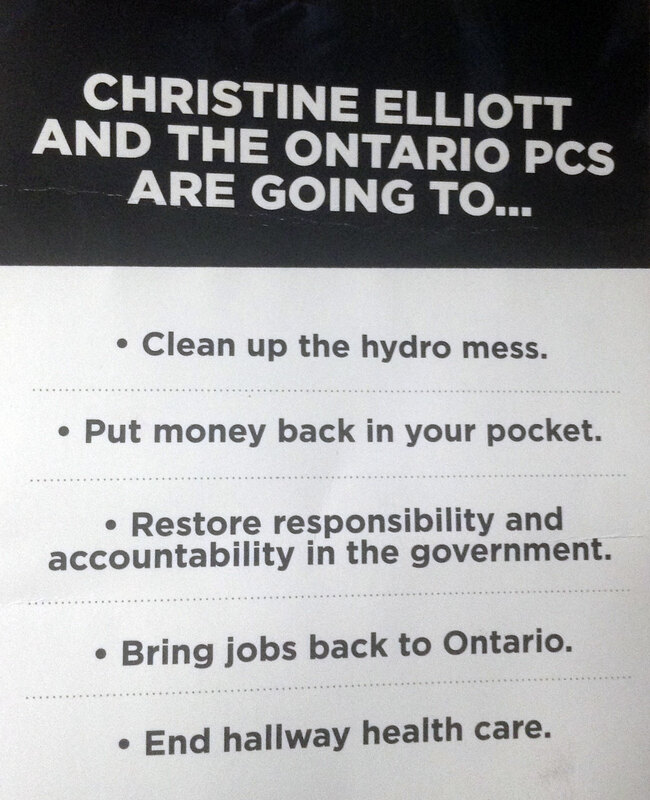 It is obvious that after losing her 3rd leadership race that Elliot needed the riding of Newmarket-Aurora more than it needed her. In this May 16th piece, we hear that Elliot is thrilled to represent the riding of Newmarket-Aurora, that she has learned something about it, and goes on to list things she is learning and wants to continue to learn. 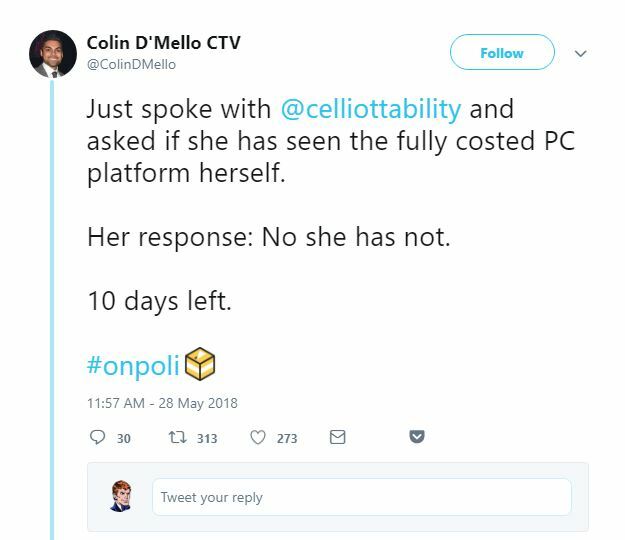 A little rich from someone who claimed her party didn’t have time for a “leader-in-training”, but somehow Newmarket-Aurora is? There are concerns with a lot of people who need to travel downtown to get to work. We need to have more public transit options, we need to make sure that people can move goods and services and be able to be home with their families too. This from Elliot who according to this March 1st piece in the National Post lives in a converted coach house in Toronto’s Annex neighborhood. She says she’ll be able to walk to Queen’s Park, a nice change from the years of commuting back and forth up the 401. You know, like the rest of those poor saps in the riding of Newmarket-Aurora that voted for her.